We are delighted to hear another great news! 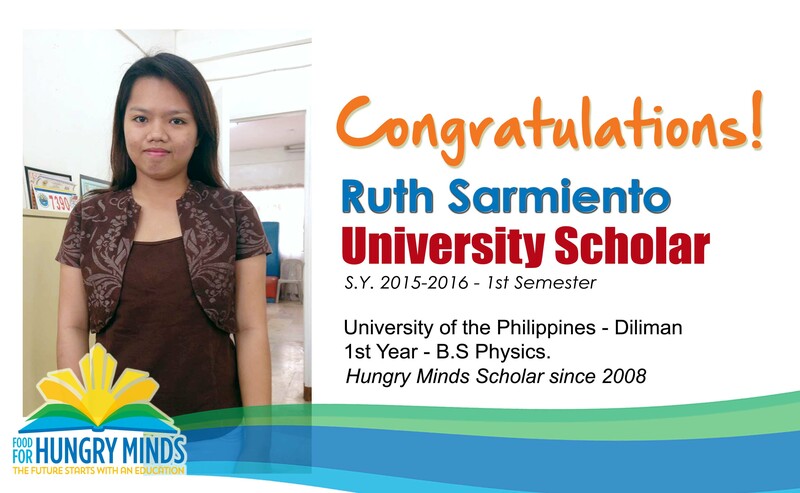 One of Hungry Minds Bulacan College scholars, Ruth, is a University Scholar for the 1st Semester of S.Y. 2015-2016 at University of the Philippines in Diliman, Quezon City. She is currently a freshman student taking up B.S. Physics and received a GWA of 1.42!